The Crooked Man - Horror.com Forums - Talk about horror. My all-time favorite Hellboy story, and one of my favorite horror stories from the comic medium. I was on my way to my friends' annual summer trip to Vermont when I first read the story. Surrounded by mountains and woods like in the story, so it really set the mood. 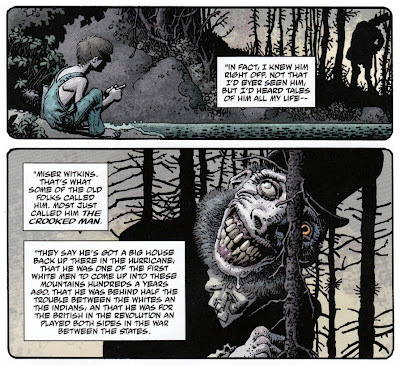 Then, when I finally saw that first shot of The Crooked Man, I got goosebumps.